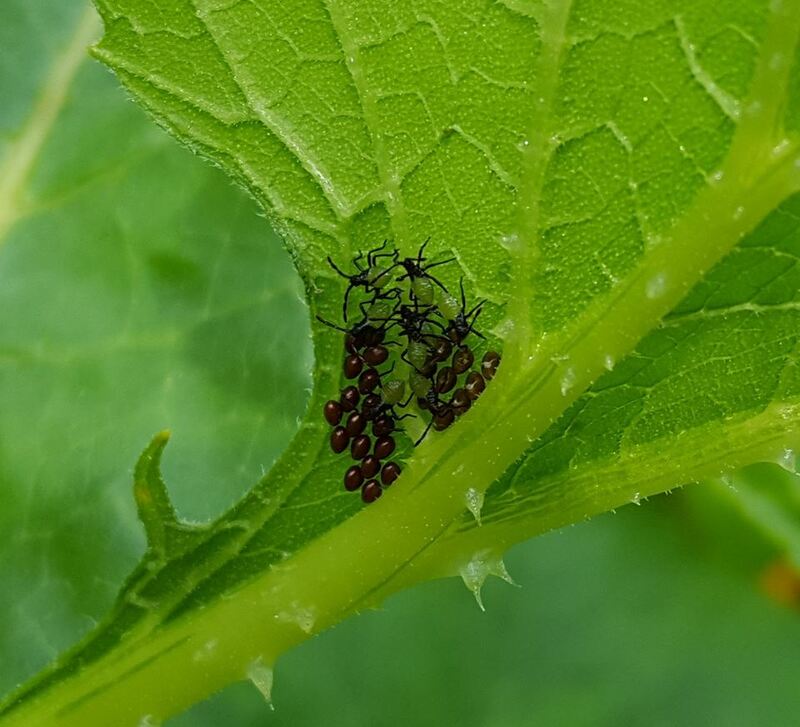 In early August, another garden pest arrived: squash bugs. These are not squash borers, another challenge we’ve been working with since our squash seeds became plants. What you see here are eggs and newly hatched bugs. 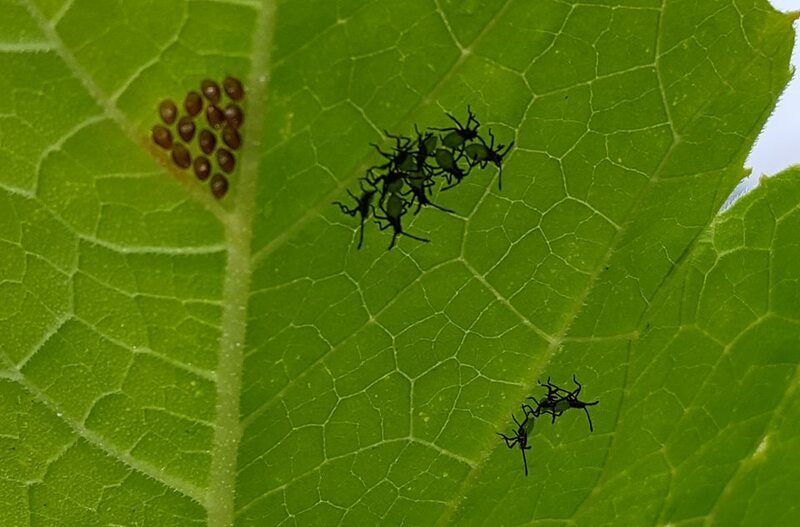 They are on the underside of the squash leaves, typically in the crotch of the leaf veins. Removal is easy with a piece of duct tape. Gently push the tape against the eggs/newly hatched bugs while holding a finger on the other side (top) of the leaf, then lift them away from the leaf. Repeat. And repeat again.